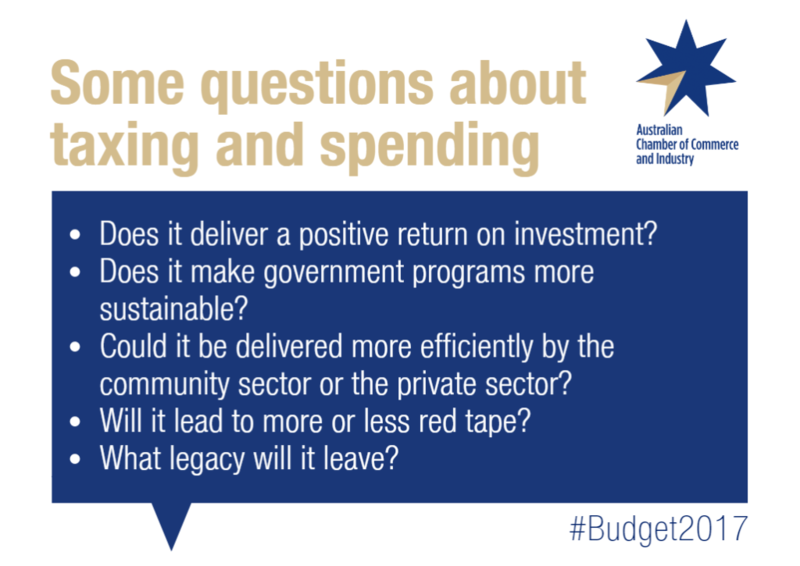 When Treasurer Scott Morrison hands down the Budget next week, we will all be keen to know what it means for us and our families: What will it mean for the taxes we pay and the government programs we use? While those questions might give us answers about whether we’ll be better off or worse off in the short term, it means we fail to consider whether it helps Australia become more economically competitive. Does it deliver a positive return on investment? Not all spending is equal. As anyone who has balanced a household budget knows, there’s a big difference between the things we need and the things we want. We need to make sure spending builds the economy’s capacity to create jobs and improve living standards. This means we need to skill young people for the jobs of the future and develop infrastructure to move goods, people and information. We should be cautious about new recurrent expenditure, which will remain a cost burden for years into the future, and focus our efforts on capital expenditure, which will leave a legacy. And that capital expenditure should face a rigorous cost-benefit analysis so we can be sure it is the best use of taxpayer dollars rather than a political boondoggle. The need for new infrastructure is clear. For example, the cost of congestion in capital cities ballooned by 30 per cent in the first half of this decade to $16.5 billion, and it could hit $53 billion a year by 2031. Does it make government programs more sustainable? Fortunately Australians are living longer, so we need to prepare for the future. The number of people of working age compared to each elderly person has already declined from 7.3 in 1975 to 4.5 in 2015, and is set to fall to 2.7 by 2055. This means the overall costs of healthcare and pensions will rise significantly as people enter retirement, but there will be fewer people working to pay for them. If we don’t ensure public support is targeted at people who really need it, the capacity of those support programs to make a difference is at risk. Spending decisions in the Budget need to keep government programs sustainable. With 35 per cent of Federal Government spending going to social security and welfare, and a further 16 per cent going to health, making sure money is well spent can make a big difference to affordability. It is difficult politically but is too important to ignore. Could a program be delivered more efficiently by the community sector or the private sector? Even if the government is using taxpayer money to fund a program, it does not mean the government is always best placed to deliver that program. We have seen the way competition has driven down costs and improved innovation in many parts of the economy, but too many public services are shielded from this competition. In education, health and aged care, many private sector providers could deliver public services, which can improve the experience for users and often ensure better value for money. One study found that cost reductions of 20-25 per cent are not unusual when public services are opened up to competition. Will a decision create more or less red tape for households and businesses? In budgets as in life, the devil is in the detail. The best programs in the world will be undermined if the costs of compliance are too great. We know red tape is a headache for many business operators, who need to grapple with business activity statements, superannuation paperwork and development approvals. In our latest National Red Tape Survey of businesses, more than one in four respondents said they spent at least 11 hours a week on compliance and almost one in two put the annual cost at beyond $10,000. The Government says it has saved $4.8 billion in red tape compliance costs over the past four years. This is welcome, and it is important that new initiatives do not create red tape in its place. What legacy will the program leave for future generations? It is not enough just to consider the trade-offs between different groups in the community. We also need to think about the trade-offs between the current generation and future generations. A deficit budget, like the ones Australia has had for nearly a decade, mean we are borrowing money today that will create a debt burden for our children and grandchildren. 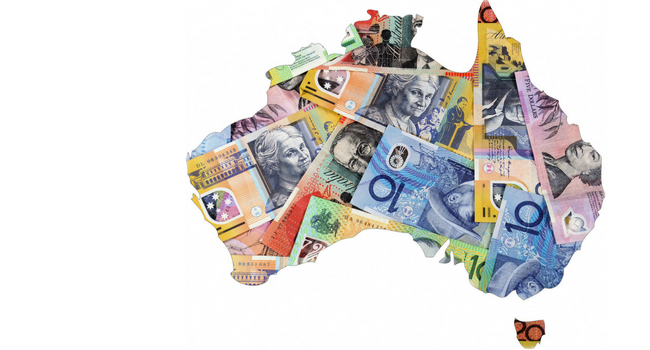 Australia’s gross debt is forecast to exceed half a trillion dollars within months, and rise to $600 billion by 2020. Given the deficit, every dollar of new spending is a dollar extra we will need to borrow. To make sure our living standards continue to improve, Australia needs to become more competitive. This requires national finances on a credible path to surplus, a tax system that encourages hard work and investment, and a safety net that helps people get back on their feet. The Budget provides an opportunity to put these ambitions into action. An edited version of this piece was published in The Advertiser on May 5, 2017.